On May 22, Cathay Pacific announced it would cut 590 jobs in order to drag itself back towards profitability. 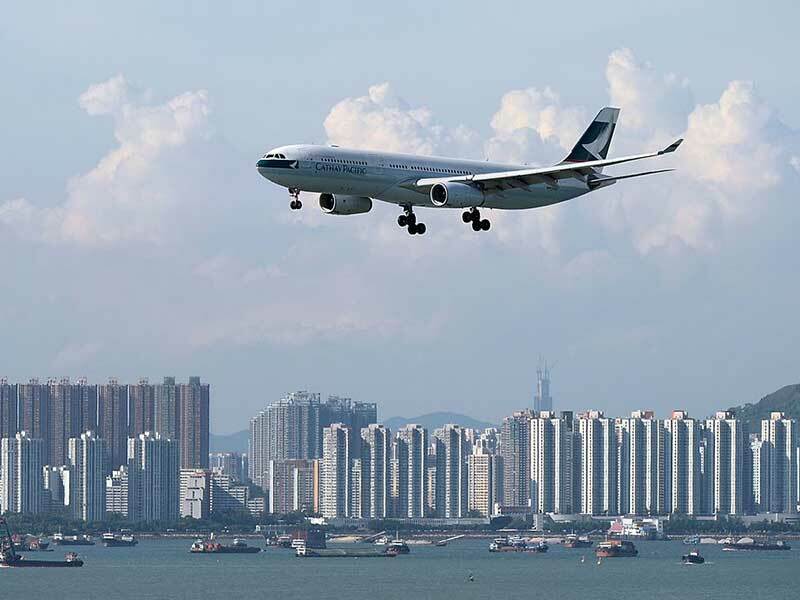 The restructuring of Hong Kong’s flagship carrier will be its biggest in 20 years, as increased competition in Asia puts pressure on its ticket prices. The cuts will affect 190 management and 400 non-management roles at the airline’s head office in Hong Kong, and falls under a broader three year plan to return to profitability. In a statement, the airline revealed the cuts would be complete by the end of the year. CEO Rupert Hogg, who replaced Ivan Chu Kwok-leung earlier in May, said the cuts were “tough but necessary”. The restructure comes after Cathay Pacific posted its first annual loss since the global financial crisis in 2008. In March, the airline announced a loss of HKD 575m ($74m) for 2016, citing growing competition from Chinese and Middle Eastern carriers. This is a stark contrast to 2015, in which the carrier reported a profit of HKD 6bn ($770m) on the back of increasing demand. While Cathay Pacific fills a relatively high percentage of its seats, increasing competition has forced the airline to lower its ticket prices to untenable levels. According to recent figures published by Bloomberg, in order to make a profit on ticket sales alone, Cathay Pacific needs to sell 123.5 percent of its total available seats. While additional charges for luggage and food make up some of the difference, Cathay Pacific’s comparatively high overhead costs have made cuts necessary. According to Reuters, the restructuring is the airline’s biggest since the 1998 Asian financial crisis, and will save Cathay Pacific at least HKD 500m ($64m) annually. Global aviation is a challenging industry to turn a profit in: while demand is currently very high, the playing field is often uneven due to subsidised and government-owned carriers willing to operate at unprofitable levels. Further, costs are often dictated by external factors, leaving airlines with very little control.